I’ve always said that if I was stranded on a desert island (and assuming the island had electricity), the two appliances I’d pack from my kitchen are my KitchenAid mixer and my Blendtec. These two things are the lifeblood and workhorses in my kitchen and I honestly cannot envision myself functioning without them. 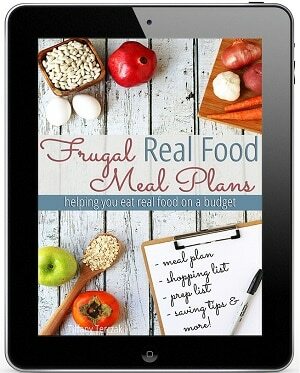 They save me both time and money, because I can now make so much more from scratch without taking forever to do it! However, I know there are TONS of readers who have one of these things – or both – and have no idea what to use them for! We’ve already talked about 30+ creative ways to use a KitchenAid mixer (and covered it quite thoroughly, I think), so let’s dive into all the AMAZING ways to use a blender – specifically, to do things you had no idea they could do! First thought, let’s talk about the MANY options you have when it comes to buying a blender. The price ranges are enormous – I’ve seen blenders on sale during Black Friday for $10 and I’ve seen blenders for well over $1,000. The perfect spot for something you don’t use very often, don’t you think? I think I know why. This is also the same blender I had when I left for college, and it was awful. Nothing liquified and ice certainly didn’t crush. In fact, I distinctly remember NOT making certain slushy drinks because I knew my blender couldn’t do it. That is the Oster 6-cup Glass Jar 2-speed Toggle Beehive Blender. It runs about $55 on Amazon and I picked this blender because it had just two speeds: low and high. I figured, what’s the point of having all those other options and buttons if they didn’t work? That blender held up well, made us plenty of strawberry daiquiri’s in our newlywed days and we even took it with us glamping one weekend (glamping = camping in a trailor with electricity). Unfortunately, I dropped the glass jar while packing up to leave and it shattered into a zillion little pieces. We were too broke to afford a new blender, and replacing the jar was just as expensive as replacing the entire blender. So we just did without for a loooooong time. When we moved to California though, my step-mom was gracious to give us her old blender. It was very similar to the one my parents had, but this one didn’t have a lid. Yes, you read that right. No lid. We used a small dinner plate as a pseudo-lid for a long time, and that kind of worked… as long as you weren’t blending anything too liquidy, or you didn’t add too much to the jar at one time. If you did either of those, you weren’t making smoothies. You were making a mess. That is the Blendtec Total Blender Classic. This particular model isn’t available new anymore, but you can buy it refurbished on Amazon for about $190. We bought it new from Costco for about $300 or so several years ago. 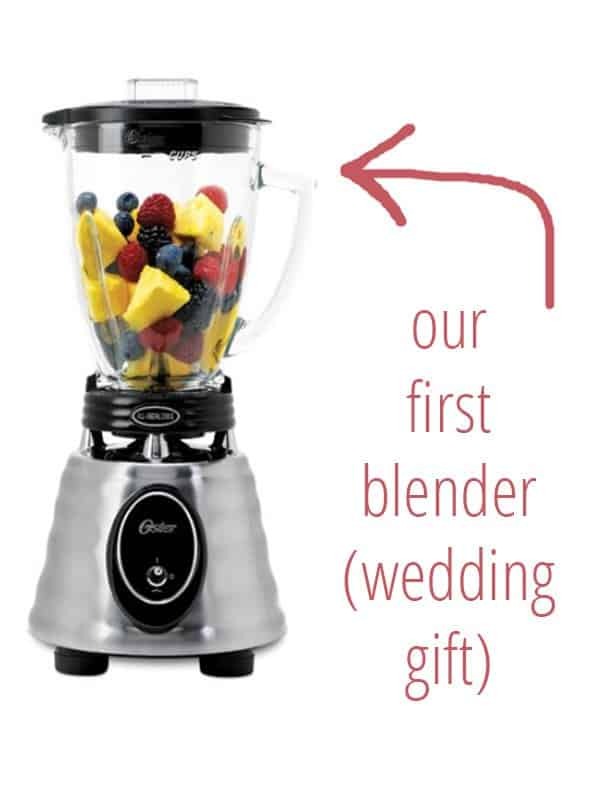 I didn’t know it at the time, but my husband had been wanting a blender that actually worked. He saw the “Will it Blend” video of a Blendtec blending an iPhone and was immediately sold. He was just waiting for my birthday to come so he could buy it for me (to use for him!). I hadn’t seen the video myself, but I did watch the demonstration at Costco and that was enough for me. We picked black, brought it home and haven’t looked back since! Do you NEED a high-powered blender? No, you don’t NEED a high-powered blender. You could get along just fine with an ordinary blender from Walmart or Target. You might spend $80 and never have to replace it in your lifetime. In fact, I’ve heard good things about the Ninja Professional Blender (although I’ve never used one myself) and it’s priced right at $80 on Amazon. But there’s this little voice in the back of my brain that fears having to buy things over and over… The cost of buying a less expensive blender multiple times because it keeps breaking. We owned 3 blenders in our first 2 years of marriage. If blender #3 (step-mom’s blender with no lid) wasn’t a hand-me-down, and we actually bought a blender to replace it, we would have spent a total of $190 right there on 3 not-super-great blenders. 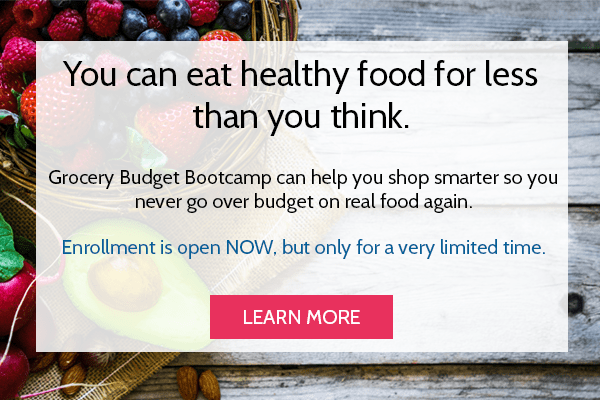 This isn’t me telling you to run out and blow the budget by buying a high powered blender. We said no to a lot of things, for a long time, in order to meet our financial goals. Instead, this is me telling you to view your purchases as an investment. Don’t buy a new cheap blender just for the sake of having a blender. Find a used blender first (check Goodwill, thrift stores, garage sales, etc.) and then save up to INVEST in a high-powered blender. When you’re ready to buy, watch for sales and get the best deal you can. Black Friday tends to have some of the best deals of the year, but in general, the best bang for your buck is the refurbished Blendtec. It’s about half the price of a new model, but still comes with a 3 year warranty (new models come with an 8 year warranty). Ok – let’s move on! 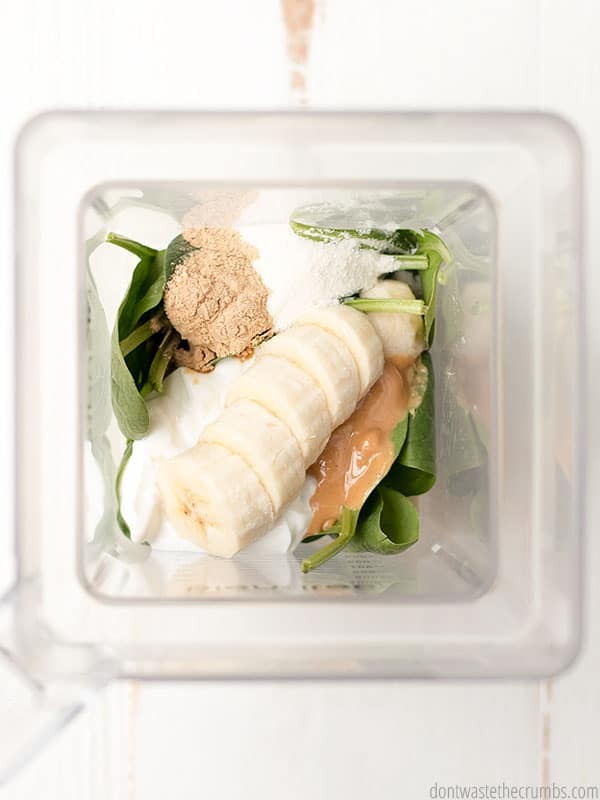 Here’s how your blender – whether it’s a regular blender or high-powered blender – can rock your world and save you tons of time! Waffles. This is my go-to waffle recipe and it comes out perfect EVERY SINGLE TIME. The entire batter is made in the blender. I have a few jars (see below) so I make big batches of these (the recipe x6), let the machine do the work and enjoy having breakfast done for a couple weeks. Pancakes. Both my sheet pan pancake recipe and my protein pancake recipe are made in the blender. Actually, you can make any pancake recipe in the blender. I will share that blender pancakes tend to be thinner than mix-by-hand pancakes, because of the way you’re blending the leavening and the flours. However, if your kids eat pancakes regardless if their fluffy or not (like mine do), then the blender is your lifeline. Muffin Batter. My family LOVES banana chocolate chip muffins in the winter and zucchini muffins in the summer. I like the grown up flavor of banana nut muffins with crumble topping myself. To make muffin batter in the blender, combine all the wet first, then pulse in the dry just until it’s combined. Stir in the toppings and pour into muffin cups! Quick Bread Batter. Any muffin batter can be used to make loaves of bread, which is essentially what quick bread is. Use the tips for “muffin batter” above and you’re good to go! Cauliflower Rice. I’ve only eaten cauliflower rice a few times, when I was testing out the slow carb diet. If you’re a fan, it’s super easy to make in a blender. Just put steamed cauliflower in the blender and pulse a few times! Breadcrumbs. 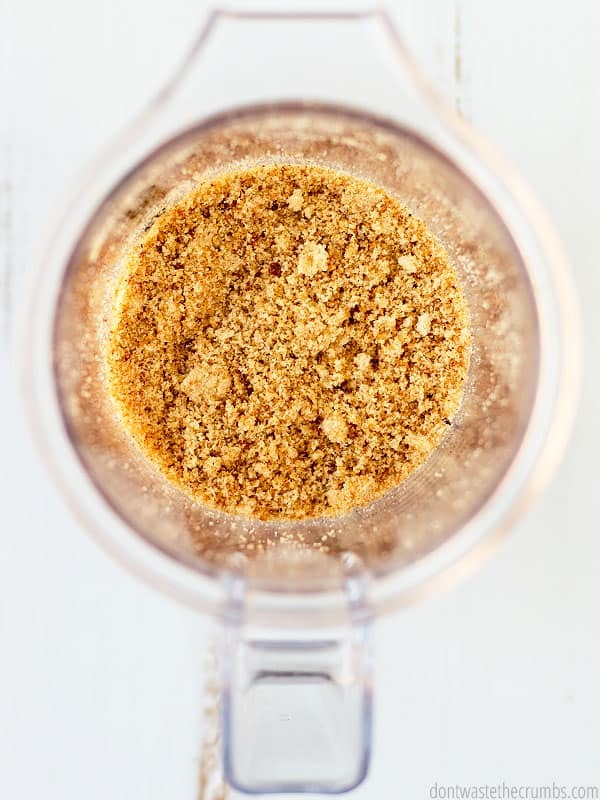 I’m saving two ways here: One, I’m not throwing away the ends of bread anymore when someone doesn’t want an “end sandwich.” Two, I’m using them to make homemade breadcrumbs! I actually haven’t bought breadcrumbs at all ever since I learned how to make them in my blender. Oat Flour. Stop buying oat flour and start making it yourself. I like to use oat flour in my baking recipes as a way to sneak in extra nutrition. It doesn’t contain gluten, so you can’t substitute completely for recipes that need a rise (like rosemary olive oil bread or light and fluffy dinner rolls), but you can definitely get away with it in little bother oat bread. Pumpkin Puree. I experimented with homemade pumpkin puree a couple years ago and once it’s roasted, it’s just too easy to stick in the blender and puree. I even included the outside skin, since I knew my blender can handle it! Hummus. We’re big fans of dessert hummus in my house. Chocolate hummus, cookie dough hummus, cake batter hummus, snickerdoodle hummus… they’re all good. And they’re all make in my blender! I do have the twister jar (see below), which makes it a bit easier when you have something thick like hummus, but it’s not a must-have. Larabar Bites. Mixing the “batter” for larabar bites is a workout for your arms… which is great if that’s what you’re trying to achieve. Me though, I just want them done as fast as possible, so I use my blender. Energy Bites. The methodology for larabar bites applies to energy bites too. It’s POSSIBLE to do it by hand, but SO much easier to do it with a blender! Crushing Pretzels. You probably don’t go around crushing pretzels on a regular basis, but I do. 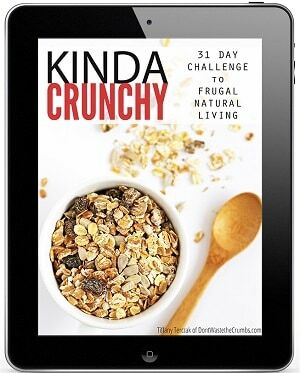 I make my husband’s favorite granola bars every week, and every week I crush the pretzels in my blender. Ever make cheesecake with a crust that uses crushed nuts? Or a crumble topping during the holiday season? Use the blender! Fruit Roll-ups. Same concept as fruit leather, except fruit roll-ups are slightly thinner. 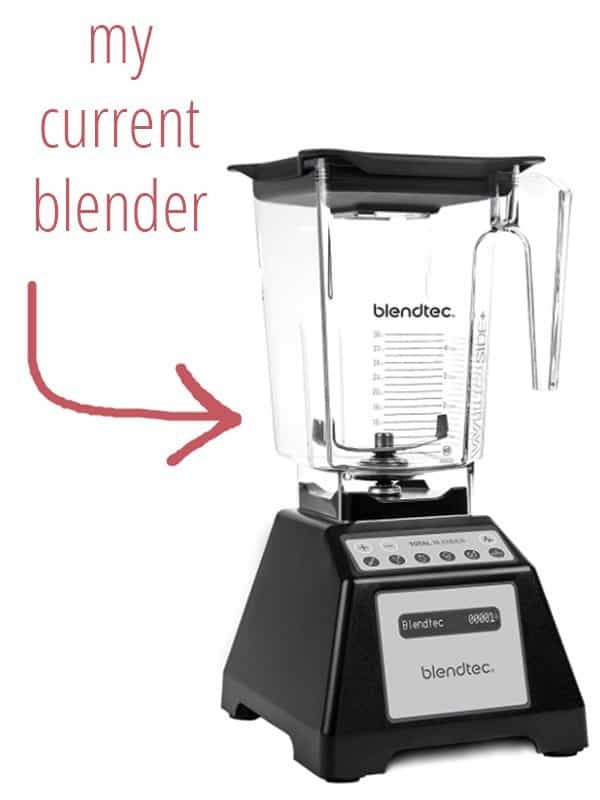 When you use the blender, you can easily gauge how much additional liquid to add to get the consistency you want. Peanut Butter. 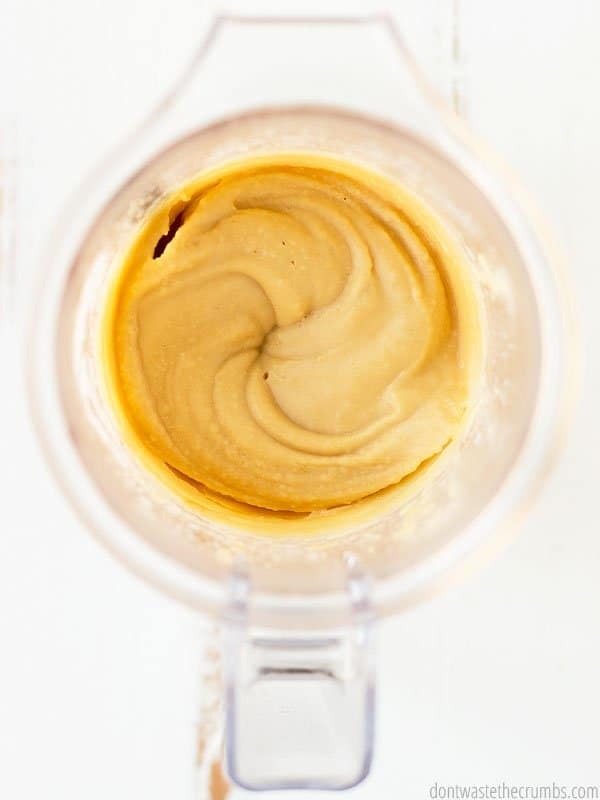 One of the ways I use my KitchenAid mixer is to re-mix natural peanut butter, since the oil separates and rises to the top. If you don’t have a mixer, a blender works just as well! To do this, work in batches, especially if you don’t have a high-powered blender. You’ll want the oil to be at the bottom, since the blender requires a liquid. Nut and/or Seed Butter. In this case, we’re making nut and/or seed butter from scratch. 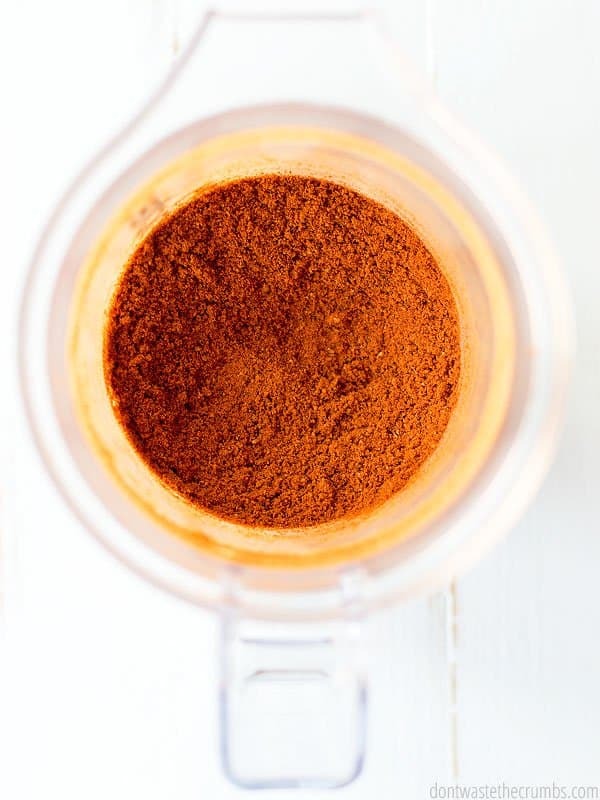 I used my blender to make cinnamon cocoa hemp heart butter a few years ago, and it was really good! I also like to save the last bits of nuts from all the packages and make nut butter – here’s my tutorial for that. 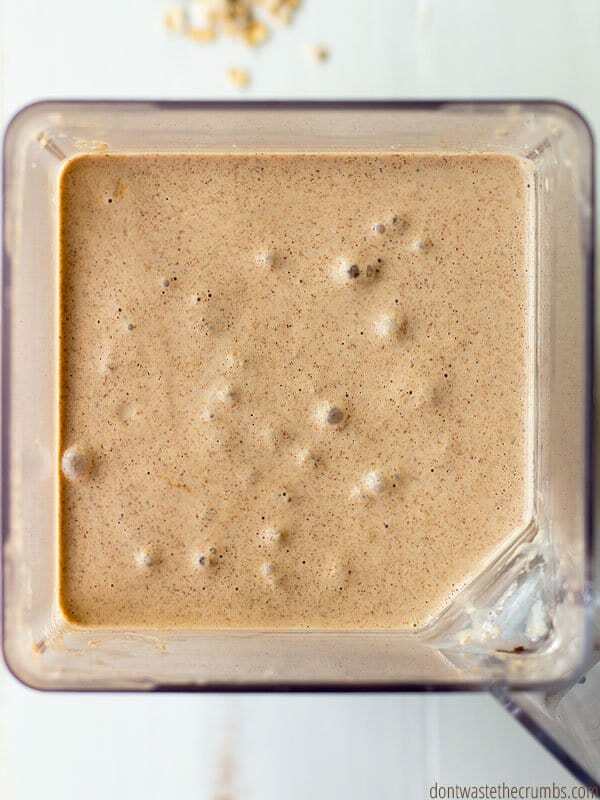 Thai Peanut Sauce. 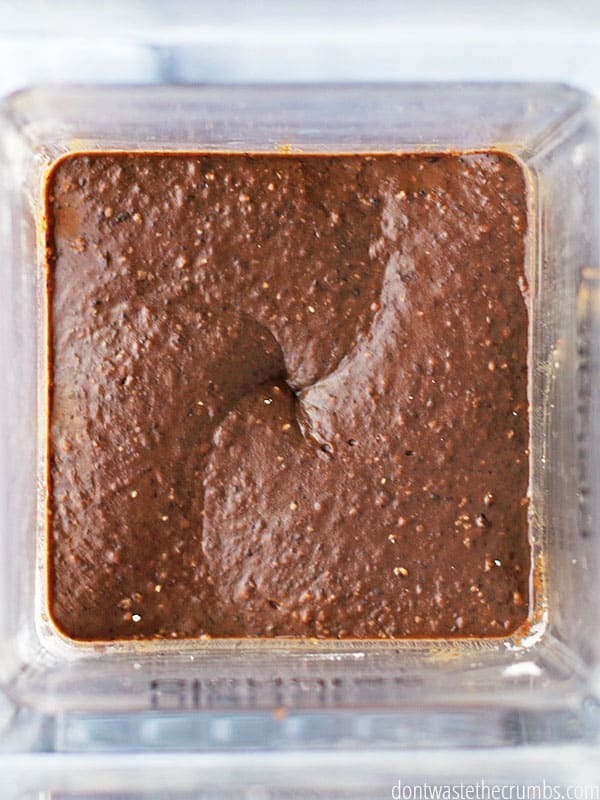 The perfect sauce to make any boring dinner amazing, is Thai peanut sauce. From roll-ups to salads to rice bowls to stir fry… this is the card in your back pocket for a rockin’ dinner. And it blends up in just a few minutes! Hot Sauce. When my dad (a chef) brought home cases of peppers, we set out to make our own copycat Frank’s Hot Sauce. Once the peppers cook with the vinegar, it’s a quick blend to the smoothest homemade hot sauce ever. Tomato Sauce. One hack to use to save money on tomato sauce, is to simply blend up any other variety of tomatoes… diced tomatoes, whole peeled tomatoes, crushed tomatoes, stewed tomatoes… whatever is one sale. Less than 30 seconds in the blender and I have what I needed! Pesto. Spinach pesto is my favorite, but carrot top pesto happened quite often when we subscribed to a weekly CSA box. 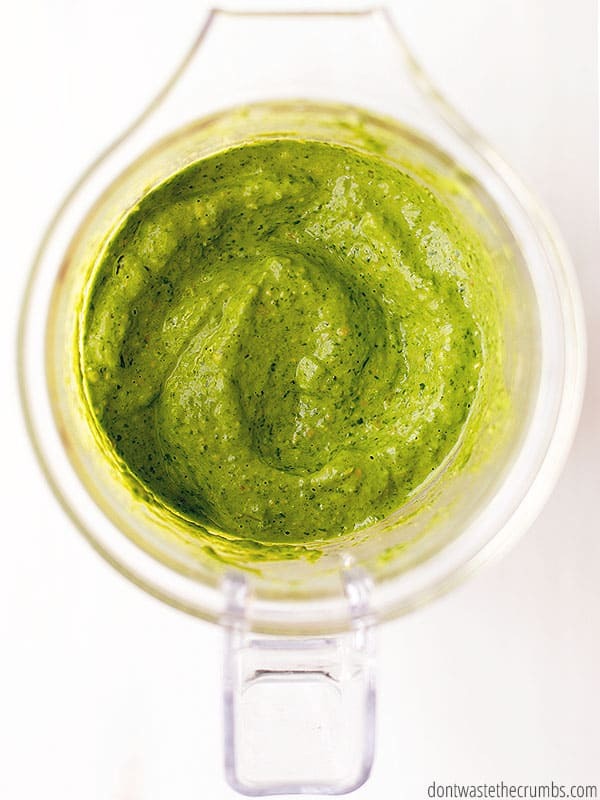 Thick and bright, making pesto with greens is an excellent way to use them up and prevent food waste! 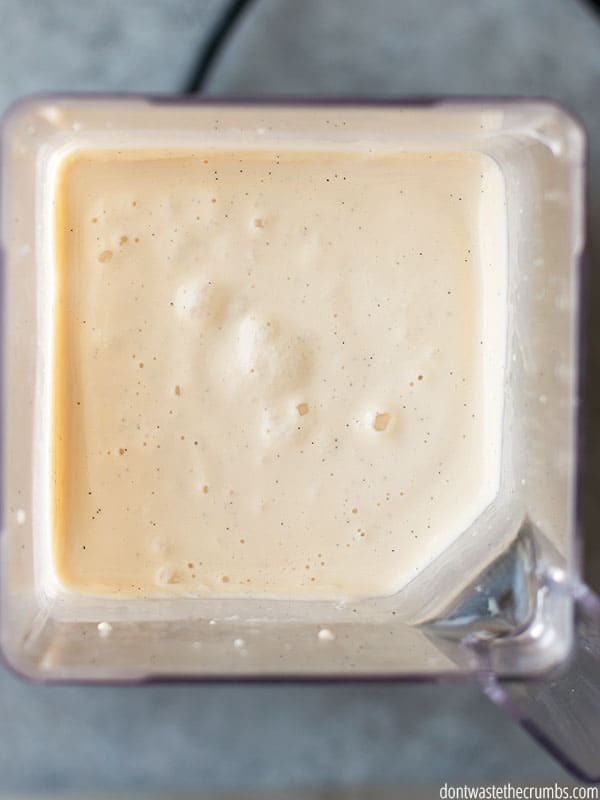 Caesar Salad Dressing. My husband and kids ADORE Caesar dressing, and this homemade recipe is WAY healthier than any store-bought version you’ll every try. Plus, it’s crazy easy with a blender. No drizzling olive oil – just dump and blend! Applesauce. Applesauce is a fancy word for cooked apples, and I honestly don’t know of an easier way to mash them than to have the blender do it for me. PS – Here’s a recipe for homemade applesauce (plain, mixed berry and cinnamon! ), and here’s how to can applesauce! Salsa. Another dump and blend recipe that will beat anything you buy on store shelves – salsa. If you love the salsa you get at Mexican restaurants, THIS recipe is your new best friend. Apple Butter. I don’t have a recipe for apple butter, but the last time I made it I dumped 7 lbs of apples and 7 lbs of pears into my crock pot, added 1/2 cup maple syrup, a hefty sprinkle of cinnamon, a splash of vanilla and hit go. The next morning I pureed everything in my blender! Brownies. Whether it’s black bean brownies, white bean blondies or pumpkin swirl blondies, I make them all in the blender. The kids can help me dump things in and dessert is ready in no time. Ice cream. I don’t have an ice cream making because I have an ice cube tray and a blender. Here’s my hack for making ice cream without a machine, plus my recipe for vanilla bean ice cream and apple crumble ice cream. Ice Pops & Popsicles. The only difference between ice pops and popsicles is what you put in the blender. In either case, you need a blender! Here’s my recipe for ice pops, coconut cream popsicles and cherry limeade popsicles. Milkshake. Chocolate milkshakes are my husband’s specialty. He tried making me one with our hand-me-down blender with no lid… and, well… that didn’t work out so well. Nowadays though, he’s making massive batches for all the kids on the street! Sorbet. Sorbet is a fancy word for blended and frozen fruit. I don’t have a specific recipe, but take some fruit, blend it up, freeze it in something flat (think these oblong baking dishes) and use an ice cream scoop to serve! Powdered Sugar. Powdered sugar isn’t necessarily a dessert in and of itself, but it’s most often used for dessert (except when it’s being sprinkled on overnight kefir coffee cake), so I thought this was the best place to put it. Here’s the step-by-step to make it. Smoothie. You didn’t think I’d skip the all important smoothie, did you? 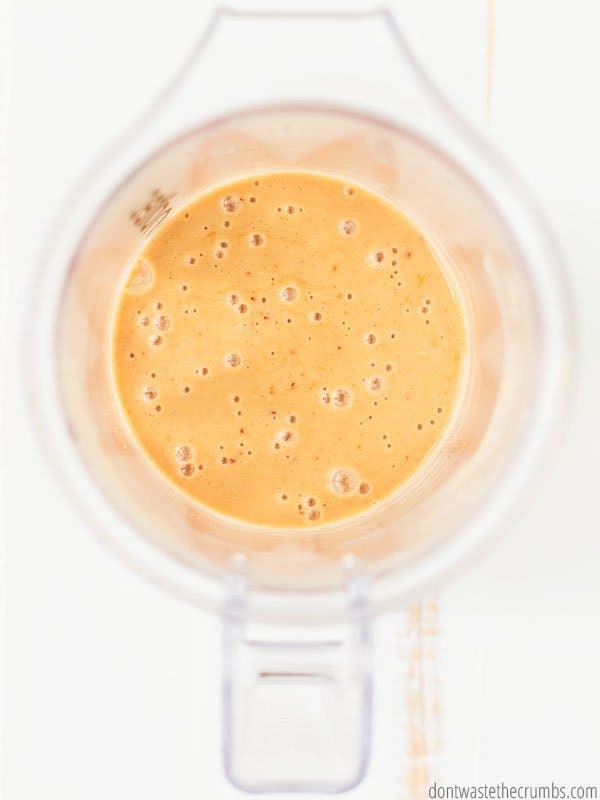 You don’t NEED a blender to make a smoothie (case in point), but it certainly helps (because chunks in smoothies is kind of gross). I love smoothies, and wrote a whole book on how to make high protein smoothies without processed protein powders. Really though, I love how I can throw fruit and veggies in the blender – fresh or frozen – and get a perfectly smooth smoothie every time. It’s my go-to method for not wasting any produce. Non-dairy Milks. You will save MILLIONS of dollars if you make your own non-dairy milks. 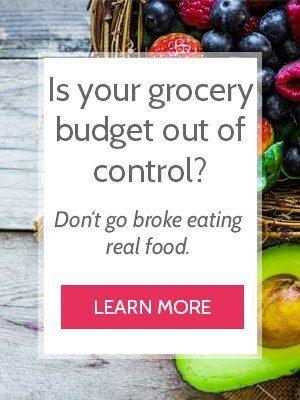 Okay, maybe not millions, but you’ll be saving a ton of money for sure. I have easy tutorials for making non-dairy milks here on the blog: peanut milk, coconut milk, rice milk, almond milk, hemp milk and cashew milk. You can also do walnut and pecan milk – as seen by the selection in grocery stores. Whichever recipe you choose, you need a blender to make it happen! Frappucino. I didn’t know that the term “frappucino” was actually a trademarked and branded name from Starbucks. I just thought it was blended coffee (with cream and sugar). So… let’s just pretend that’s what I wrote. And if you didn’t guess it, you need a blender to make it happen (otherwise it’s just iced coffee). Juice. Did you know you can make your own JUICE with a blender? I’ve only done it one occasion, mostly because I wanted to see if it was possible and partly because we don’t drink juice very often. 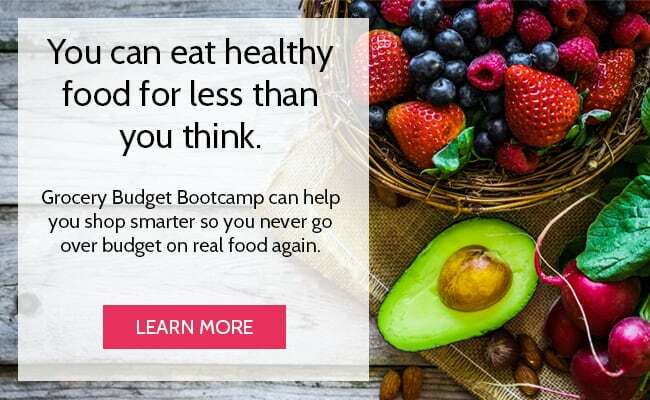 BUT – if you’re a juicer, it’s definitely worth looking into replacing both the juice and “normal” blender with a single high-powered blender. Dried Dill. You need to dry your dill first (here’s my dehydrator, and a tutorial for dehydrating dill), but once it’s dry, use a blender to make a super fine dill powder. Otherwise, it’s going to take you all day to pick the leaves off stems (trust me on this one). Tomato Powder. Just like dill, you’ll need to dry the tomatoes first (how to make tomato powder). Once they’re completely dry, stick them in the blender and you have tomato powder in seconds. What in the world do you use tomato powder for? Glad you asked! Carpet Deodorizer. You could add essential oils to a jar with baking powder and shake it up, but I like to do a quick whiz in the blender to really distribute the oils. SO MUCH CHEAPER than buying carpet deodorizer from the store, and you can customize the scents! Here’s how to do it. Laundry Detergent. Using the blender to make carpet deodorizer is optional, but it’s required to make homemade laundry detergent. You really do want the oils to be distributed, and you want the soap to be as fine as possible. Garden Fertilizer. No recipe here, but if you save scraps, egg shells or anything else for the garden or chickens, whip it up in the blender first. This will make a coarse powder you can work into the soil… because if you just toss carrot and potato ends into the dirt, you don’t get fertilizer… you get carrots and potatoes (ask me how I know!). What’s up with the different shapes of jars? If you’ve been trekking with me in the photos, you’ll see that I have round and square containers. 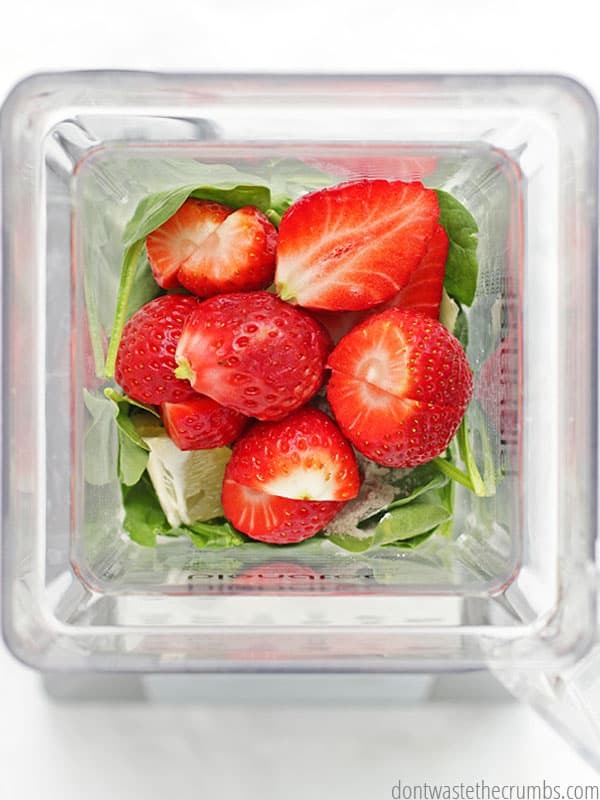 The main jar for the Blendtec is the fourside jar (<– one word, not a typo). That not-round shape is one of the reasons the Blendtec works so well. There’s also the massive wildside+ jar that holds 90 ounces! PS – I’m well aware that I might sound like a Blendtec salesman, but it’s only because I TRULY love my blender!! I’m a foodie, so it’s perfectly normal to get excited about things like this (yes?). 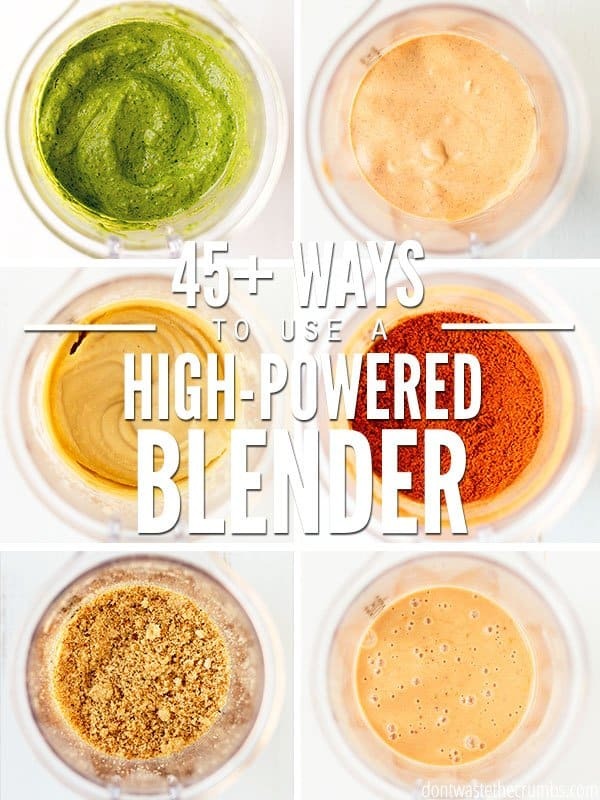 What would you mix in a high-powered blender? Have you ever tried one? Many of you know this, but Mason or Ball jars will fit on a lot of blenders. I think it’s the narrow jar. For that reason I’ still use my original blender to make smoothies or salsa; whatever. What do you mean that the jar will fit on the blender, Lynn? Don’t you need the blades of the blender jar to operate? Most blender jars unscrew from the blade parts so you can clean everything. The blade pieces can then be put onto a mason jar. Do the blades on a blendtec not come apart from the jar? 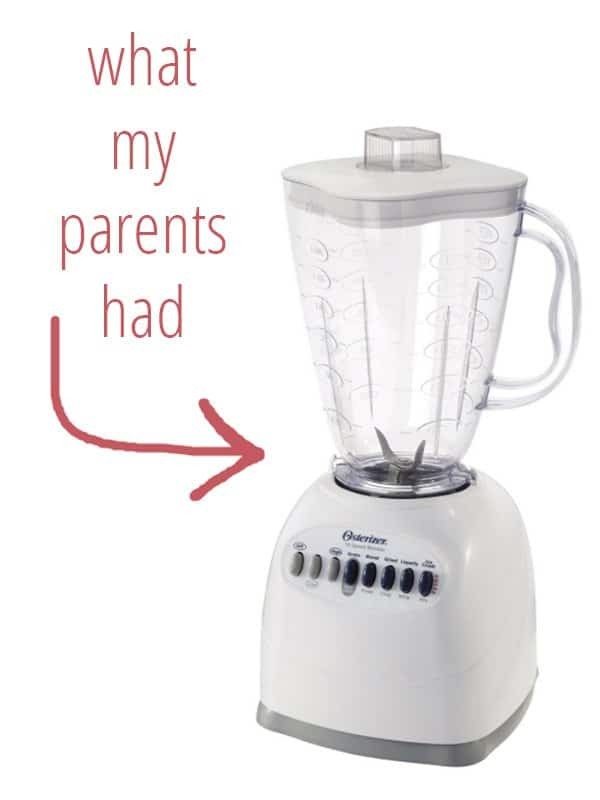 Think back to your oster blenders….I’m sure they did. I don’t think they do Lyss… but even so, they wouldn’t work on a mason jar. The thingamjig that fits into the blender base is attached to the blender jar, goes through and is a part of the blades themselves. The only way it would work, is if you drilled a hole through mason jars. Tiffany, here is a link to a uTube video that explains this. No, it won’t work on a Blendtec, Vitamix or The Boss. As I said, it will work with an Oster or probably a Hamilton Beach. But it’s handy enough that I saved my old Oster for those out the door breakfast smoothies. And honestly, I wish you could unscrew the blades from the high powered blenders. It would make clean-up so much easier. 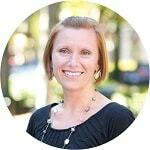 Hi Tiffany, I have been on the fence with the Blendtec vs. Vitamix. Blendtec seems to be much lighter in weight and fits under a cabinet. Is this the model you have and is this a good price? Yep – that’s the one Deni! Except when I bought it, it didn’t come with the Twister Jar – I got that separately. That’s a great deal!